Open air events always sound like a cool idea. 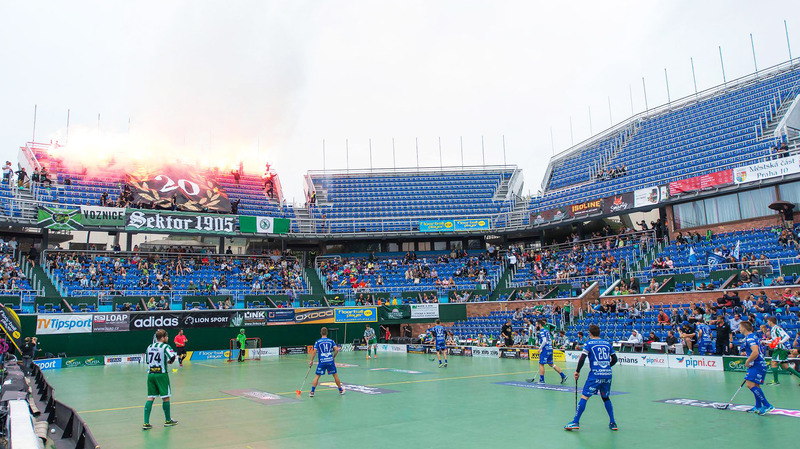 But on the past weekend Czech Republic’s and Germany’s top competitions experienced how weather can ruin a floorball game, with and without a roof. To the Czech floorball federation the season openers between the male and female teams of Bohemians and Chodov should have become a unique marketing coup. The elite match inspired by the NHL Winter Classics took place at the Stvanice arena, a traditional tennis venue, located on a Prague island. 1.620 visitors came to see the event. But after a 7:6 win of the women’s Bohemians team, the men’s match (Chodov just took a 5:2 lead) had to be interrupted due to rain and will have to be repeated. Though, the reactions were very positive. “We know, that not everything was ideal, but people liked the event and everybody’s looking forward to next year”, said Bohemians GM Martin Musil to Cesky Florbal. But as the German Bundesliga proves a roof doesn’t solve every problem. Bremen travelled over 500 km and more than 5 hours to their away game in Schriesheim. Unfortunately heavy rain soaked through the hall’s construction and didn’t stop dropping on the field. To avoid injuries the referees cancelled the game and sent Bremen on an early way home.